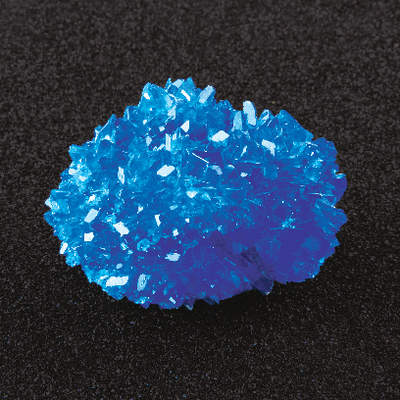 Brilliant blue lab-grown copper sulfate crystal group. Average size: 2" x 2". Poland.